The USS Lanikai was constructed as the MY Hermes in 1914 for the Williams-Diamond Company, an agent for the company Jaluit-Gesellschaft in Hamburg, Germany. The Hermes was at anchor in Honolulu at the Declaration of the US entry to World War 2 and by executive order taken into the Navy the 1st of April 1918 and re named the USS Hermes. The intended use of the vessel was as a submarine patrol boat and patrolled the waters off Honolulu. The Hermes was called upon to sail amongst the Islands northwest of Hawaii searching for survivors of shipwrecks, enemy activity and conduct a survey for the Biological Survey Commission. 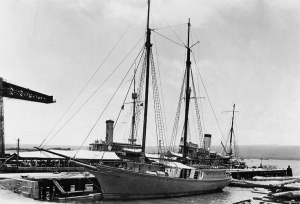 The Hermes was decommissioned in 1919 and given to the Hawaiian Territorial Government where it was initially used to support a Leper colony. The Hermes was sold to the Lanakai fish company in 1926 and renamed the “Lanakai”. In 1937 she was sold to Metro-Goldwyn-Mayer and used in the production of the movie “Hurricane” starring Jon Hall and Dorothy Lamour. In 1939 the vessel was sold to E.M Grimm of the Luzon Stevedoring Company of Manila, Philippines. The Lanakai was once again commissioned for service by the USA in 1941 where she was placed under charter from her owners at the Cavite ship Yard with Lt. Kemp Tolley at the helm. In late 1941 it became apparent that Japanese forces were plotting an offensive in Southeast Asia, due to a large group of ships heading south from the Formosa Islands. The Lanakai was one of 3 small vessels challenged with the task of collecting information from the Japanese via intercepting radio transmissions. The Lanakai was due to set sail from Manila harbor in the early hours of the 7th of December 1941, however at 0300 hours word came through to the ship that the Japanese had just bombed Pearl Harbor and was ordered to patrol areas just outside Manila Bay, Philippines. Three days after the fateful bombing at Pearl Harbour the Lanakai escaped damage in Manila Harbor where the Japanese forces destroyed the Cavite Navy Yard. On Christmas day the ship was used to ferry officers and equipment in the evacuation of Manila to Corregidor Island. On December 26th approval was given by Lt Commander Charles Adair for the Lanakai to escape to the Netherlands East Indies. 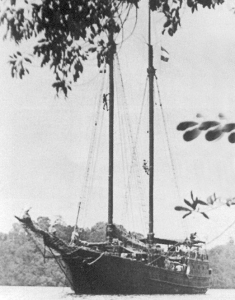 The Lanakai was staffed by an all Filipino crew, and had one Dutch and three American officers as passengers. The crew sailed mainly through the night and hid the ship in sheltered bays during daylight hours. Heavy storms made the journey much easier as the ship crossed the large unprotected expanse of ocean with no bays for concealment between Luzon and Australia. The ship did draw some attention from aircraft but for the most part they were too busy with bigger targets. On one occasion the Lanakai was being shouldered by two enemy aircraft, however when the Filipino crew jumped into the water to pick up stunned fish as a result of dynamite fishing they had been carrying out themselves, it was enough for the aircraft to lose interest. On the 18th of March the USS Lanakai arrived at Fremantle, Australia after 82 long days at sea. The ship was renamed the HMAS Lanakai and saw out the remainder of the war serving in the Australian Navy. At the end of the war she was sailed to Manila to be returned to her previous owner. The owner refused to accept her due to the poor condition she was in. The Lanakai was sent to Subic Bay Philippines for repairs and eventually sunk in a typhoon. The Vessel was discovered in 2003. The Lanakai wreck in Subic is now spread around on the sea floor and serves as a treat for those interested in historical wreck sites. 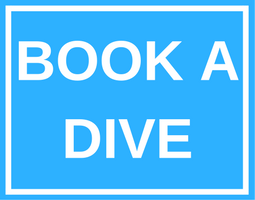 If you are a qualified deep diver would like to schedule a fun dive of this interesting Subic Bay wreck the do contact us today!